For the first time in two years, quarterback Teddy Bridgewater is participating fully in OTAs (Twitter link via Rich Cimini of ESPN.com). Bridgewater took the field on Tuesday morning as the No. 2 QB behind last year’s starter Josh McCown. The early word is encouraging as he ran a few bootleg passes and showed no signs of favoring his surgically-repaired knee. The Jets signed Bridgewater to a one-year, $6MM in March with the potential to make significantly more based on playtime and performance. However, the $500K signing bonus in the deal represents the only guaranteed portion of the deal. Considering the presence of McCown and No. 3 overall pick Sam Darnold, it seems like Bridgewater will have to show that he is no less than 100% healthy in order to keep his place on the roster. During his two years as the Vikings’ starting quarterback, Bridgewater was competent, but not a world-beater. In 28 starts, Bridgewater completed 65% of his passes and averaged 3,075 yards, 14 touchdowns, and 10 interceptions. Since 2015, he has attempted just two passes in live action. 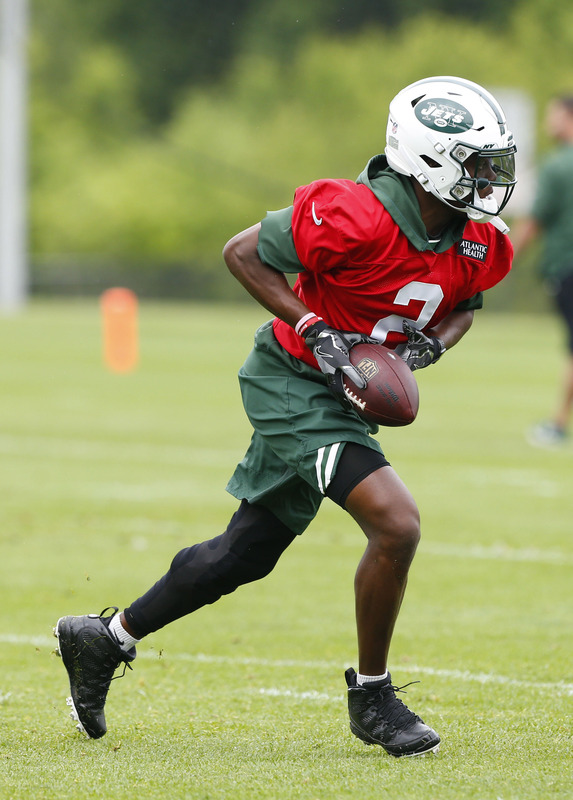 While Bridgewater was able to take the field on Tuesday morning, fellow newcomer Terrelle Pryor was not a participant thanks to an ankle injury. Teddy is a quality guy but he’ll never be anything more than a back up from now on. It’ll be tough for him to catch on as a #2 but he will somewhere. Good luck Teddy…you’ll need it. Why is he limited to only being a back-up? Yeah I’d like to hear that as well. He was a 1st round draft pick. Although that doesn’t hold any weight, he did good for a young starting QB. He also didn’t have the weapons in Minnesota that they currently employ. He’s older, wiser, and may take a step forward. He may be a good starting QB for the New York Hets this year. Possible….